recommended for: Fans of light reads, survival shows, and quirky main characters. I'm a Scott virgin, so I can't compare to her Collector series. 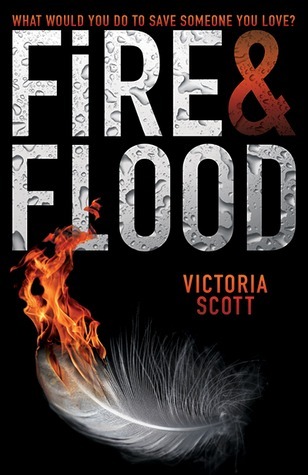 What I can say is that Fire and Flood was an entertaining, if somewhat clumsy, adventure. I felt about the style the way I felt about Twilight (without the creepy abusive romance). It's a little overdone, a little over-the-top. At times I felt like I was reading a well-developed, quirky teen girl; at other times, it read like bad fanfiction. Tella's compassion and insecurity won me over, though I still had a rough time grasping her character. Her role in the race required a firm suspension of disbelief. The Bleed, a kind of hellish Amazing Race, spans across four ecosystems, with jungle and desert taking up this book. Given the horrific, taxing situations into which our contenders are thrust, it's shocking that a teen girl with more skills at eyeshadow than the outdoors could avoid death or serious injury. Add in a few impossible plot devices, and it's difficult to believe this could happen. However, set that aside and you have an entertaining survival story with a few brilliant twists. I didn't necessarily buy the world or the background, but I did have a little fun following Tella and her friends, including the adorable Pandoras. It's a far cry beneath some of its predecessors (obligatory Hunger Games reference), but it's got some charm that will surely find a fanbase. I don't mean to be mean, but I found it kind of mediocre. The way I enjoyed this story was to suspend my hold on reality. You're already accepting a world in which eggs hatch into genetically modified super-animals (Pandoras) that can read minds and shape change. That was actually easier for me to swallow than some of the plot hole patches, like a makeshift bamboo raft surviving intense rapids or no one getting sick or malnourished. I can't give away the backstory for the race and its founders, but it was pretty shockingly unbelievable, if you ask me. Not to mention, does the bad guy really have to be obsessively in love with Tella? I don't buy it. On the other hand, Scott does have a good handle on twists and turns to keep the action fresh. Once we got into the jungle, the action picked up and there was rarely a boring point. The twists involving Levi and Dink were pleasantly startling; nor does Scott shy away from blood and gore. I enjoyed watching Tella become more confident and competent. It turned out to be a fun read, but not one that has me rabidly awaiting the sequel. The concept is cool, and could have been more compelling with a few tweaks. I like the idea of a crazy race. It's very reminiscent of current reality shows (Amazing Race, Naked and Afraid) and fits well into a kind of quasi-dystopian setting. There's also plenty of intrigue. Why are all these people falling sick? What's The Cure? Why are these secret people withholding it from the needy and doling it out only to those who survive a horrific competition? Unfortunately, I found some of the answers kind of ludicrous. I could see the competition being a one-time thing, not something that sparked a whole secret company and affair. I did like the addition of the Pandoras. Again, it's a little sci-fi, but who doesn't love the idea of cute animals who follow you around and breathe fire? Tella's relationship with her Pandora, Madox, was one of the most touching parts of the story. 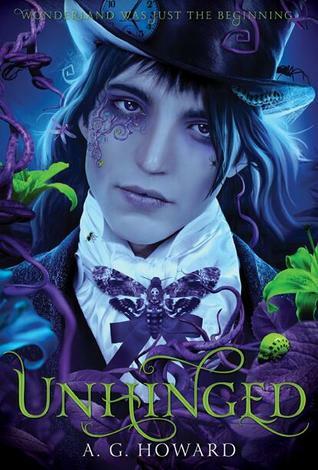 Tella did endear herself to me as the pages turned, but I never quite loved her. I had a hard time believing her as a person. She was more like a cheerful squirrel that reacted violently to everything, whether violently cheerful or violently...violent. I had whiplash until she settled down in the second half, when I was better able to buy her shaky confidence and her caring. Her affection for Guy was an actual good use of insta-love; it felt teenage and realistic and first-love, for the most part, and it's understandable that the throes of competition would bring them together. I disliked that she seemed to think more about Guy than her parents in the end, but I've seen worse. Guy himself was more believably competent once you learned his backstory, although he's a prime example of the strong silent type without much to differentiate him. As a rule, the side characters don't get much characterization. Harper was an exception; I liked her fierceness mixed with vulnerability. I only wish that more focus had been giving to people like Titus, Caroline, and Ransom to turn them from props into people. Especially since Titus solely existed to be a rapey trash-talking evil person with no soul. I'm reminded of my reaction to Bea in Sketchy by Olivia Samms. Tella wasn't quite the sugar-high squirrel that Bea was, but she did have a certain frenetic off-the-wall overly-talkativeness that turned me off. She was gushing, and the best way I can describe it is to quote this most ridiculous line: "Just because I'm entering a race doesn't mean I don't want to look magically delicious." It's like Scott was trying too hard to be quirky and cutesy. The book is peppered with lines like this, though perhaps not quite as absurd. Then there are times when Tella's voice settles down and becomes quirky in a more understated, workable way: "His voice is that of a man who owns too many sweaters." Clever, something that shows how Tella views the world. Other readers probably won't mind the crazy rambling, but it was too much for me. It made Tella seem less rather than more believable, like a caricature of herself. The beginning was a bit of a trudge, but the pacing picks up towards the first third and really takes off from there. Despite my issue with the story, Scott kept me reading with her good sense of ups and downs. I was always at least curious about the next twist, enough to feel pulled along. Why is the cover a feather on fire? Hell if I know. An entertaining adventure with a spunky heroine battling her way through a brutal survival contest. This was a fantastic review. I like the way you break it up into parts. Very cool! Thank you! It keeps me more organized and lets me explain why I rate a book certain ways even if one section is particularly high or low. You took the things I did not say about this book and put them in your review! I honestly felt the same way! I did not like Tella at all, I felt like she had to keep reminding herself that she was doing the race TO SAVE HER BROTHERS LIFE and not to make out with some hot mysterious guy. I did think the concept was interesting, it was not what I expected at all. The twists did surprise me very much and the pace was quick but overall I was not a fan. I would like to see what happens next but I wont be dying to know. Glad to hear it! Ha, you make such a good point. I understand she's a teenager so I gave her a little credit on that, but still...she was in a life-or-death situation and the first thing she flashes to is Guy? Give me a break. I feel the same way. I'd read the next one but only if I happen across a copy.